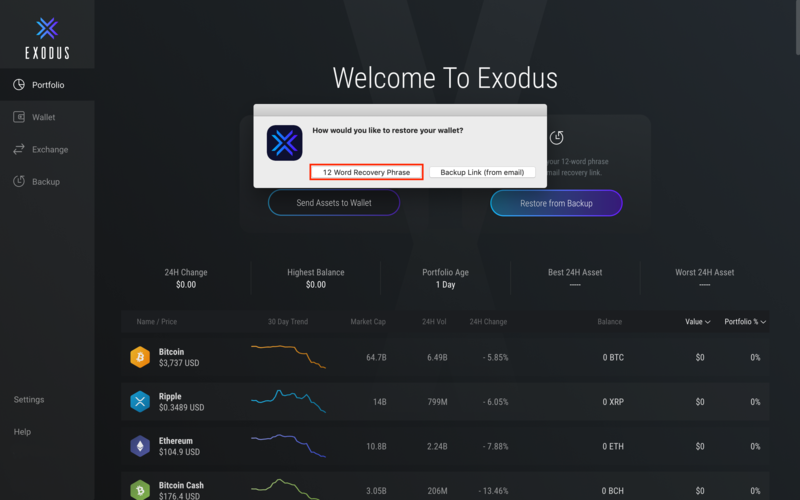 If you lost access to your crypto assets like Bitcoin, Ethereum and etc., you can use your 12-word phrase to restore access to them inside the Exodus wallet. 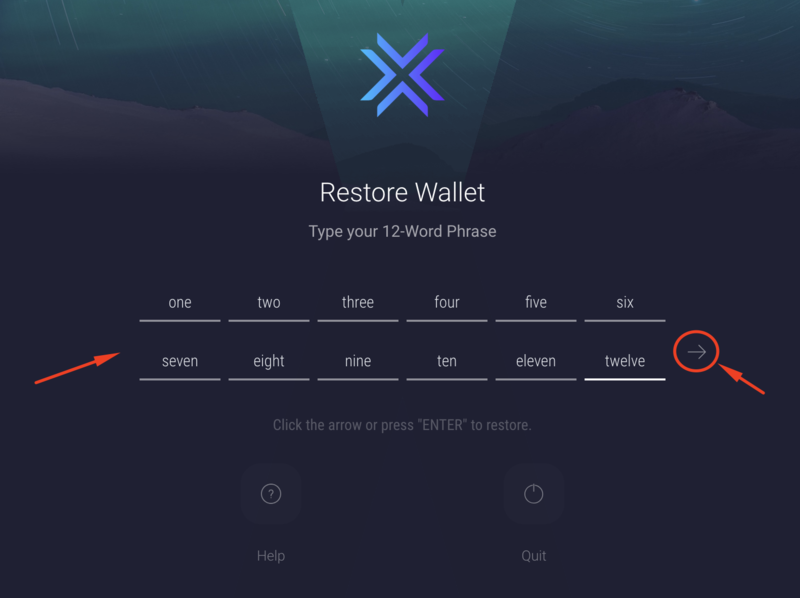 Note that additional methods of restoring from your 12-words are available from the developer menu or lock screen. 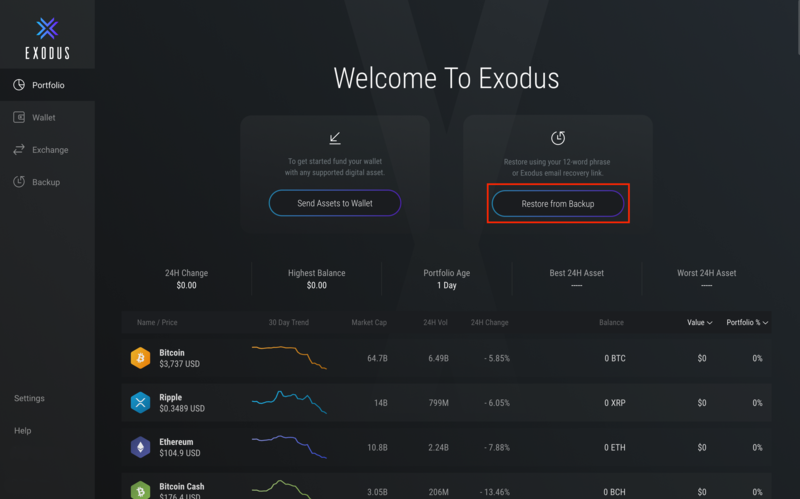 Download the latest version of Exodus. Click the "Restore from Backup" button on the Portfolio welcome screen. Choose 12 Word Recovery Phrase. 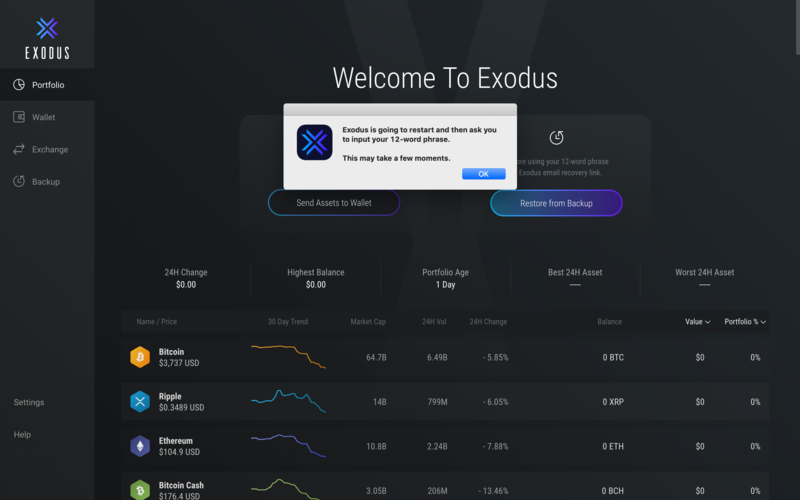 Exodus will then ask to restart. Click OK. Type your 12-word phrase in order with no capital letters. Click the arrow to the right when you are finished. 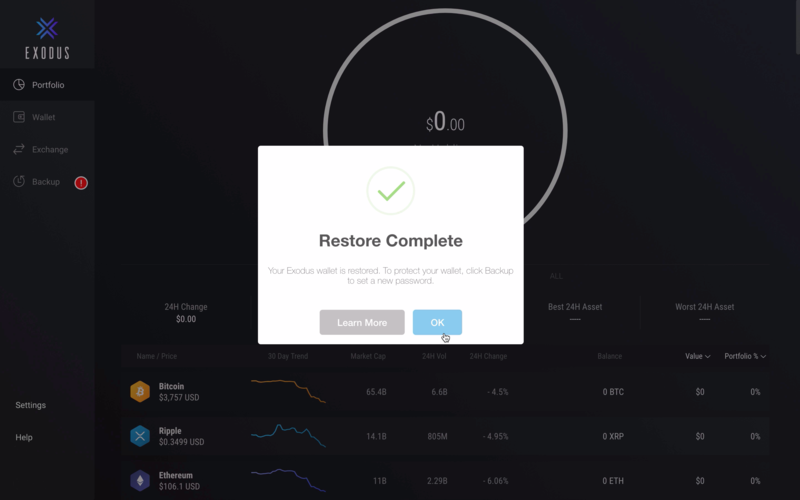 After a few seconds, Exodus will open with a popup "Restore Complete" Click OK and wait a few minutes while Exodus rescans the blockchains and displays your balances. Make sure to set a password to protect your newly restored wallet.